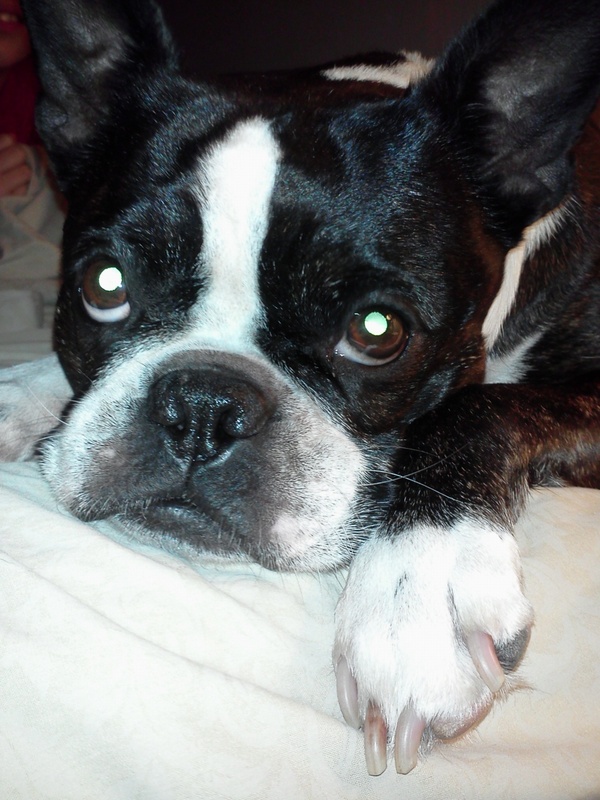 Bonnie is a 9 year old Boston Terrier. She has been my faithful companion since she was a pup. Shes the best dog in the world. She has unlocked doors for me, fallen out of the back of a truck, and helped me raise 2 kids, 2 puppies, a rabbit and 5 chickens. Her resume is better then mine! She enjoys eating ice cream and playing fetch. *Update; We lost Bonnie to Lymphoma on August 28, 2014. She took a big piece of our heart with her. You can read the story of her last days on Earth, here. 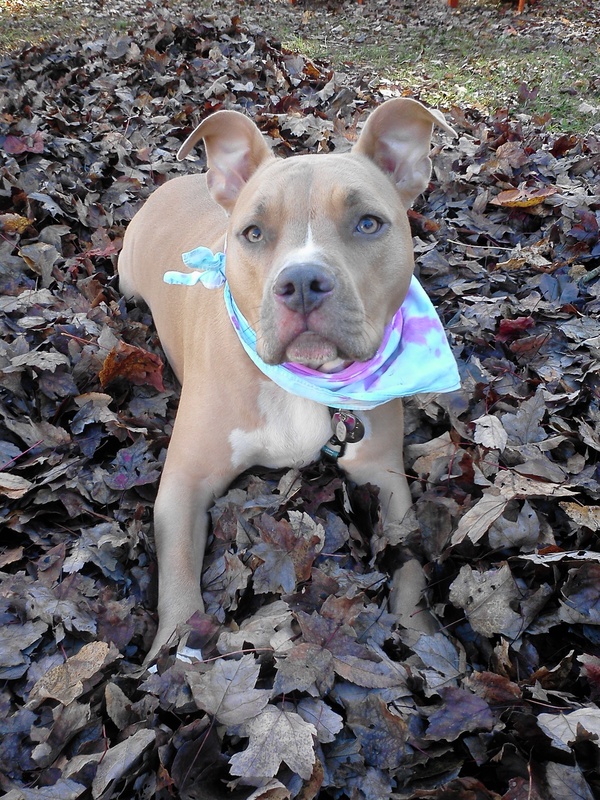 Maple is a 3 year old American Staffordshire Terrier. She is the sweetest fur baby around. She has struggled with food allergies since she was a pup. She also has arthritis in one of her rear legs. AND shes on a diet. Shes got it hard right now. Jeez. Maple loves cuddling and watching my daughters. She also keeps an eye on the chickens and puts Honey in check. 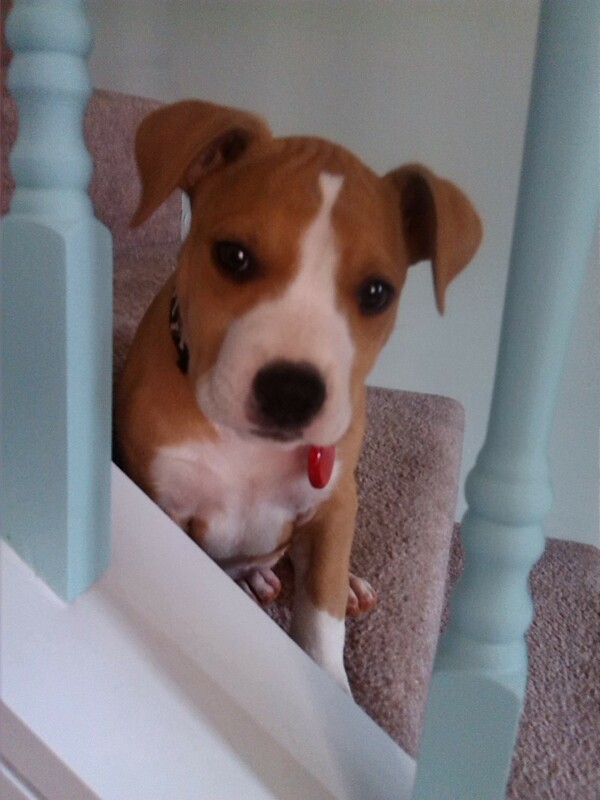 Honey is a 5 month old American Staffordshire Terrier. She is a handful and a hoot! Shes the most puppy I have ever had in a dog. Honey loves to have her belly scratched, play fetch (and make you chase HER for the ball) and chasing the stream of water that comes out of the hose. Shes floppy and silly and just an all around good time. 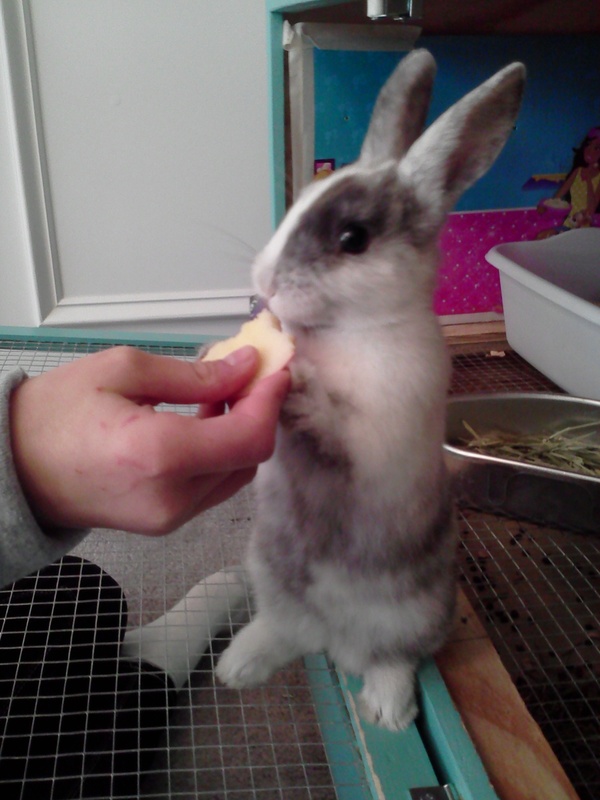 Winter is our 1 year old house rabbit. I got her as a Christmas present for my daughters (but in secret I wanted her for her poop!). She enjoys chewing on boxes and chasing your feet. C is no longer for cookie at our house, its for Chickens. They are so fun to watch chase bugs (and each other when somechicken gets a good one!). Our girls (and most likely one boy) are about 2 months old. We are first time chicken owners but we’re learning quick! 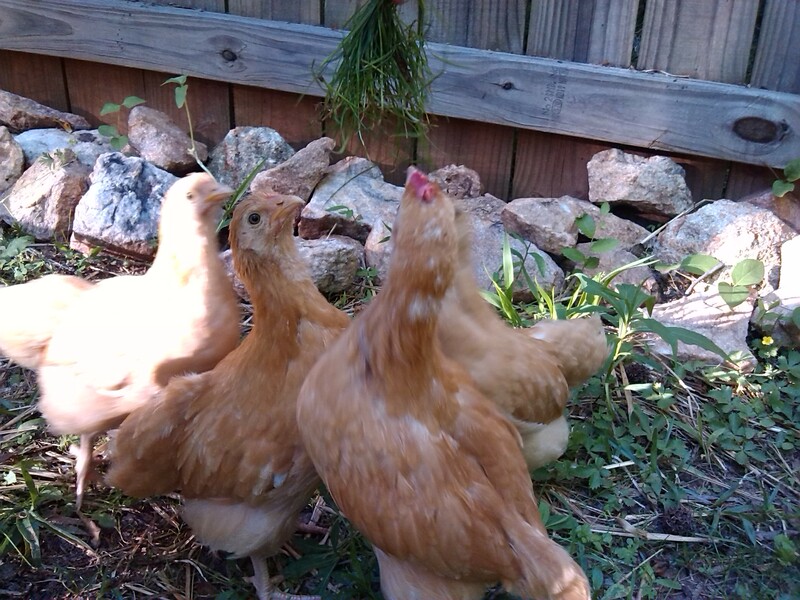 We chose Buff Orphington Chickens for their dual purpose (meat and egg), their larger size, and their demeanor. They are exceptionally sweet and allow my daughters to hold and pet them.